OLD ORDER ?Before Kurt ?Cobain, there ?was Ian Curtis, brilliantly ?impersonated by ?Wiley in Corbijn’s ?new movie.? In 1982, Greil Marcus wrote about Ian Curtis, the lead singer of British band Joy Division, “He sang on the edge, and not as a metaphor: His strongest numbers conveyed the feeling that he was fighting against all odds either to back away from the edge or to go over it.” While that may sound like rock-critic hyperbole, Control, the new Curtis biopic directed by Anton Corbijn, brings Marcus’ words alive on screen. 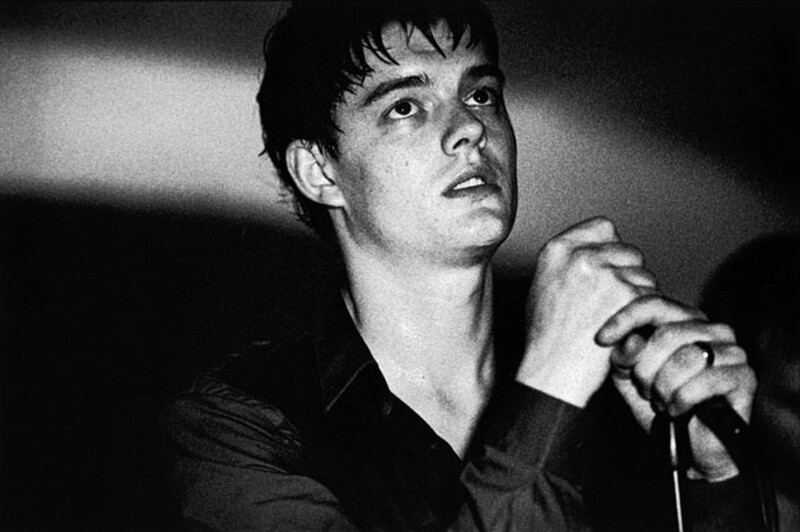 By the time they were written, Curtis was dead — he committed suicide in 1980, at the age of 23 — and his fellow band members had recreated themselves as New Order, which would go on to record danceable hits such as “Blue Monday.” Corbijn takes us back to the beginning, when Curtis (Sam Wiley) was a teenager listening to David Bowie records in his parents’ drab apartment near Manchester. With eyeliner on his face and J.G. Ballard novels in his bookcase, he seems like every withdrawn kid who scribbles lyrics about alienation. The difference is in how he comes alive on stage, with a baritone voice that somehow manages to drone with intense emotion, and a dance style that’s half robot, half eggbeater. Health concerns played a role: Curtis was epileptic, and sometimes suffered seizures on stage. So did personal problems. In the film, we see Curtis and girl-next-door Deborah (Samantha Morton) court and marry against a series of hideous ’70s wallpaper patterns. Soon she’s at home with the baby, and he’s closing the door to write his lyrics, or escaping with his mates — and, later, with a pretty Belgian fan of the band (Alexandra Maria Lara). The Dutch director, who’s been involved with the band members since he photographed Joy Division in their heyday, gives us the story in black and white — literally — with few emotional highs. The movie’s world looks grimy and authentic, but it will resonate more with viewers who already know the band and the era. For those who don’t, Corbijn offers scant sense of context to show them why England in the late 1970s produced some of the most depressive — and rousingly rebellious — music ever written. The movie can also be taken to task for focusing too tightly on Curtis, when the supporting characters might have injected more light and warmth into the story. Morton transcends the usual whiny stereotype of the neglected wife, but she stays underdeveloped. As scrappy, preening manager Rob Gretton, Kebbell provides vital comic relief, but there’s not enough of him. There’s nothing new in the story of an artist who screws up his personal life. But what makes this one particularly compelling is that Curtis, diagnosed with epilepsy just out of his teens, didn’t enjoy the prolonged adolescence granted to most rock stars. He knew the seizures that contributed to his mystique — some people confused them with his dancing — could also kill him. While most rock biopics show their subjects spiraling into drug and alcohol excesses, this one shows him piling up his prescription meds — each with its list of side effects — and struggling with intimations of mortality. Today, “edginess” is a marketing strategy. But for someone who desperately needed to control his illness, and his fears, performing on the edge really meant something. The film reminds us that Curtis fell early, but his voice lives on.